AMD is allegedly preparing yet another card with a cut-down chip. AMD is sitting on a relatively high volume of RX 460 cards, which will soon be upgraded to Radeon RX 560D. With a simple BIOS modification, these cards will be rebranded to RX 500 series. 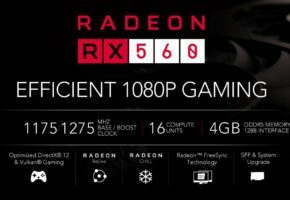 More importantly, the RX 560D cards will still feature 896 Stream Processors, so just as many as RX 460. The rebranding seems to only be a marketing choice by AMD, a choice that will only affect Chinese market because we are unlikely to see these cards elsewhere. AMD has not confirmed what clock speeds would these cards receive. 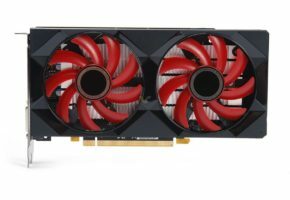 As pointed out by MyDrivers the RX 560D will only require 50% of the RX 560 total power consumption (I think this claim might be little exaggerated), which would make it a good solution for mining (here we go again!). Speaking of RX 460 BIOS modification. I recently “upgraded” my RX 460 NITRO to RX 560 PULSE. As you remember most RX 460 GPUs already have all 1024 Stream Processors working, as they were only disabled by BIOS. The only difference between using unlocked RX460 BIOS and using RX 560 BIOS is that you get a full driver support. The modified BIOSes are not validated, thus generating your card useless and unable to work with official driver branch.